Our booklist crosses a lot of genres to fire our imaginations, fuel our creativity and inspire unique content. Summer is now official, and beach life is inching closer. That means the smell of salt, sound of waves and sand between your toes. So we have to ask: Have you picked your summer read yet? Because we have some great recommendations. As content marketers, we’re a pretty eclectic bunch. That means our booklist crosses a lot of genres to fire our imaginations, fuel our creativity and inspire unique content. So, from grand novels and smart histories to nutrition guides and sci-fi epics, we have a summer read for you. On Writing, Stephen King (~ 280 pages). With On Writing, Stephen King does more than prove his mastery in storytelling—he teaches us storytelling that sells. And who better to sit at the feet of than the current King of pop fiction? On Writing is fun and inspirational, but it's also incredibly practical, as King describes how he toils like the rest of us normals. Recommender: Marc Acton, Associate Creative Director. The Grand Strategy of the Roman Empire, Edward N. Luttwak (~ 190 pages). Author Edward N. Luttwak, a strategic defense expert, illuminates how Roman strategy responded effectively to three centuries of challenges. In our Information Age, this book has valuable insights about strategies that leverage perception, prioritize action and transcend ephemeral changes. Recommender: Mark Settle, Associate Editor. 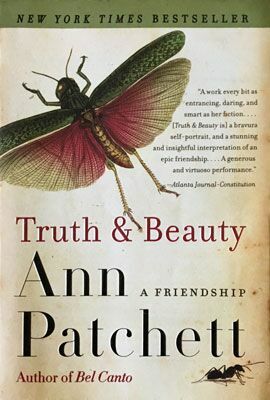 Truth & Beauty, Ann Patchett (~ 250 pages). Nashville author Ann Patchett's memoir documents her unshakeable friendship with fellow writer Lucy Grealy. Painted with love and honesty, Patchett's portrait of her tortured friend is raw yet lyrical, woeful yet witty—demonstrating writing qualities that resonate with readers. Recommender: Tracy Marsh, Copyeditor. The Ruins, Scott Smith (~ 380 pages). Recommended by Dustin McNeal, Senior Art Director. Creation, Gore Vidal (~590 pages). Recommended by Cory Harkins, Interactive Designer. 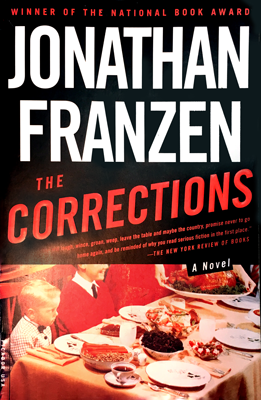 The Corrections, Jonathan Franzen (~ 550 pages). What makes Jonathan Franzen’s third novel so powerful is that it tells a story about an American family with open honesty and pain. Anything that explores honesty, I’m always into that. In video, it’s big—because when an audience can feel that something is true, they respond. Recommender: Zack Wilson, Senior Producer. Dune, Frank Herbert (~ 620 pages). This 1965 classic effortlessly blends science fiction, fantasy and political intrigue. Introducing the desert planet of Arrakis, aka Dune, Frank Herbert’s visionary masterwork is laced with arresting landscapes and lessons about environmental stewardship. If you haven’t read it, you need to. Recommender: Greg Giblin, Cinematographer/Editor. Survivor, Chuck Palahniuk (~ 290 pages). Recommended by Monica Waller, Videographer/Editor. John Dies at the End, David Wong (~ 490 pages). Recommended by Mika Carr, Production Coordinator. Atlas Shrugged, Ayn Rand (~ 1,070 pages). Atlas Shrugged opens with one of literature’s great first lines: “Who is John Galt?” Ayn Rand’s epic novel leads with mystery and follows with powerful storytelling that pits the values of the individual against a dystopian society. It may take you all summer to read it, but it’s worth it. Recommender: Micah Breedlove, Senior Developer. Angels and Demons, Dan Brown (~ 490 pages). Recommended by Ari Orlinksy, Director of Information Systems. The Martian, Andy Weir (~ 380 pages). Recommended by Omar Asbar, Information Systems Operations Engineer. Love is the Drug, Sarahbeth Purcell (~ 230 pages). Recommended by Sara Randall, Quality Assurance Assistant. 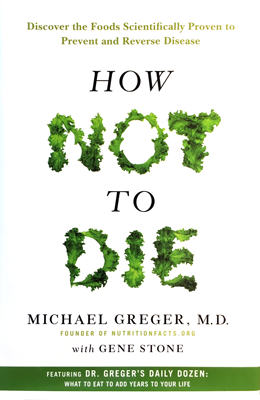 How Not To Die, Michael Greger, M.D. (~ 400 pages). Health is near the center of our lives. I lost my father to heart disease in 2010 and became increasingly interested in heart disease prevention—and reversal. Doctor Michael Greger describes how he saw his grandmother’s life restored after changing her diet. It’s a story of hope and understanding. Recommender: Christian Anderson, Account Supervisor. This Terrible Sound, Peter Cozzens (~ 530 pages). Peter Cozzens’s history is personal for me, because my great, great uncle fought in the Battle of Chickamauga. I’ve been to that battlefield, walked the terrain and imagined charging each ridgeline. As a veteran who works with service-related clients, that matters. History is a part of our present. Recommender: Bob Weaver, Program Director. The Goldfinch, Donna Tartt (~ 770 pages). Recommended by Raye Dene Berry, Project Manager. A Wrinkle in Time, Madeleine L’Engle (~ 250 pages). Recommended by Claire Rogers, Senior Account Executive. … the latest update to the employee handbook—but hey, that's HR. Want to work directly with this creative content team—let's talk. We’ll make your business our passion—and tell your story in ways you’ve yet to imagine. Broadway doesn’t need traditional channels of advertising, because the plays and musicals of the Great White Way do certain things differently—and your content can too. Content marketing can help you be heard above today’s social media hubbub, especially in industries where profits live or die based on trust level. Welcome to the FIFA World Cup, with its worldwide audience! Today’s POV identifies the ads that make the most of this huge opportunity—and how they do it. As content marketers, we’re a pretty eclectic bunch. That means our booklist crosses a lot of genres. If your customers or clients are making life choices, don’t pretend otherwise! Instead, meet that challenge head-on. When you’re publishing content that’s going to represent your business, writing headlines that work might be the most important thing, but it’s not the only thing. The term "inbound marketing" has more than doubled in popularity as a Google search term over the last five years. But, what is it? Spell-check is handy, no doubt, but here a few reasons it’ll never win against a pair of eagle eyes. For marketers, the Super Bowl is basically the Super Bowl of advertising, where we see the best and brightest of our industry show off their best stuff. With every commercial break, agencies at the top of their game are competing for more than sales—it’s really cultural relevance they’re chasing. Being a great writer is awesome, but being a working writer is even better. To do that, you’re going to have to be productive. Here are seven tips for doing more with those writing tools you’re sharpening. ©iostudio 2018. All rights reserved.